Santa Cruz has a slew of stickers roaming around town, from the iconic Santa Cruz Skateboards’ “Red Dot” to Tim Ward’s Mermaid and Sea Otters. Santa Cruz also has hundreds of generic tourist trap, logo rip-off and old english/tattoo style stickers that add nothing to our community, and in my opinion only serve to dilute the fantastic and rich history that our community has. 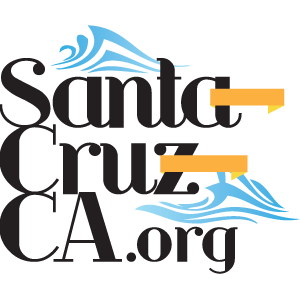 Santa Cruz started it’s history as a Spanish mission, but really had it’s first major growth period around the turn of the century, with a constant stream of Victorian influnce pouring in from San Francisco, and the world at large. Victorian architecture in particular is still visible in the fiber of Santa Cruz today. I am of course a little biased, since this is one of my projects. I feel we have done a beautiful job at LocalSantaCruz.com of weaving that fiber of Santa Cruz history in with our modern lifestyle, and not to mention our modern obsession with stickers. Each design has a combination of elements that have either been with us for some time, is something new adding to our community all illustrated together with beautiful Victorian type and style. I think these stickers are going to be a huge hit, and will help us all remember, appreicate and be proud of our local community roots.